Cats play with yarn, dogs chase frisbees and parakeets have their mirrors. 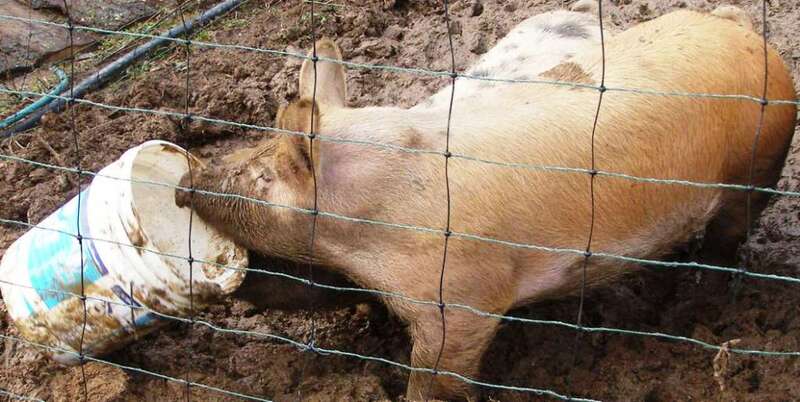 Like any domesticated animal, pigs need some form of intellectual stimulation. Many homesteaders recommend giving a pig a bowling ball to push around, but bowling balls are hard to find out in the country! Not only that, but they would probably sink into the mud and be lost forever. 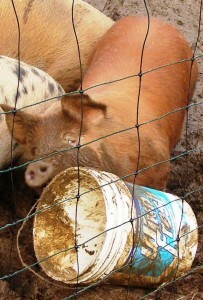 What we do have plenty of on the farm are 5 gallon buckets, and pigs seem to be more than happy to push them around. Here’s our four pork units, fighting over their new plaything. Meet Willy, Wonka, Charlie, and Bucket. 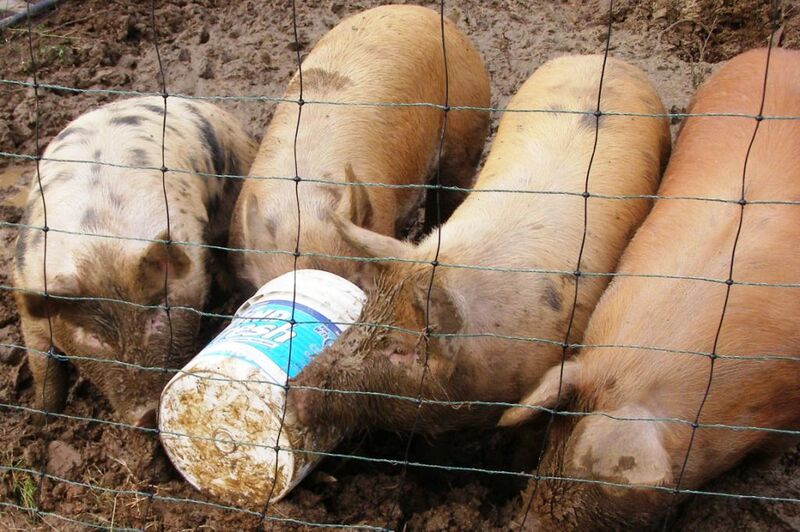 We discovered that pigs love buckets by accident, when one the their feed buckets was accidentally dropped into their pen and was immediately snatched up. They like to grab the handle of smaller buckets and fling them around. You can’t do that with a bowling ball! I think buckets make even better pig toys than bowling balls.